The soundtrack to the legendary anime film AKIRA is now available! Set in the year 2019 in Neo-Tokyo, the world is still recovering from the ravages of World War III. One night, teen delinquent Kaneda has his biker gang hurtle through the busy city. Kaneda’s friend, Tetsuo, is seriously injured during an accident and is taken to an army hospital. There the military notice Tetsuo’s potential psychic power, so they transfer Tetsuo to a secret government laboratory to awakening his latent abilities. When Kaneda gets involved in an antigovernment guerrilla movement, he encounters Kei, a member of the revolutionaries, and learns that the goal of the fighters is to infiltrate a secret laboratory – the very one where Tetuso is being held. The experiments to awaken Tetsuo’s powers are a terrifying success as he begins to wield psychic energy he cannot control - reminiscent of the emergence of the legendary esper boy "Akira”, which triggered World War III. The stage set, a fierce battle begins between Kaneda, Kei, the army and Tetsuo with the destiny of Earth at stake. The symphonic music to AKIRA was composed by Dr. Shoji Yamashiro, head of the beloved Japanese musical collective Geinoh Yamashirogumi, and performed by the group. 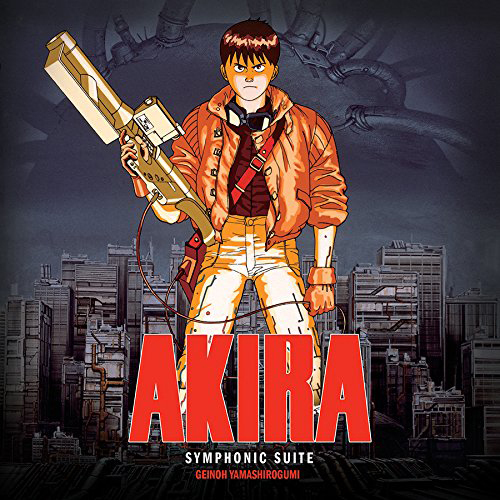 Rerecorded and remastered using the most advanced audio techniques available, this release of the unforgettable score of AKIRA is peerless in quality and audio fidelity. The original Akira. Hopefully that's all there ever is.